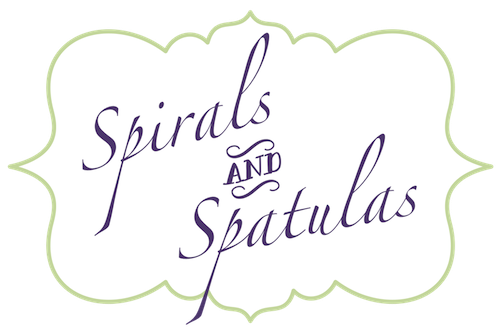 Spirals & Spatulas: You're Invited! Even if you're not actually invited to my wedding, you are invited to take a look at my invitations! For some reason I really obsessed over these. Funny, since most people will just throw them away. But I'm an avid scrapbooker and thus a paper-person, so the invitations were important. I had a pretty clear idea of what I wanted, and I had the ability to DIY them (and actually did quite a bit of research, prototypes, etc. ), but I was in the middle of graduating from college and just didn't have the time to physically make them all myself. So I searched long and hard to find someone who could pull off my vision for a reasonable price, and I found my invitation angels through Etsy. Thus began my fairytale vendor relationship with Moncher Designs. I can't say enough wonderful things about Monica of Moncher Designs. 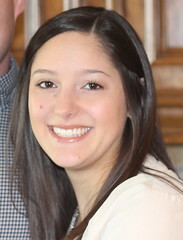 She's the most professional Etsy vendor I've ever worked with (by far!). Her prices were way better than anything else I could find, she gave me unlimited revisions on her designs (and boy did I take advantage of them! ), she responded to every revision/request within just a few hours, she sent me as many samples as I wanted, she finished my invites exactly on time, and she even assembled them all for me. If you want pretty invites, contact Monica. DO IT. My mom and I hand-addressed them all. We didn't have enought time (or monetary resources) to send them to a calligrapher, so we just made do with our less-than-stellar cursive. It worked. Pre-printed return address (to my parents). Cute "Jeff and Katie" seal. Look! The post office hand-cancelled them and I didn't even have to ask! Also, I love those cake stamps! Oooh, look! That ribbon is a little more burgundy in person. I looooove the metallic navy pocketfold. Love love love. The inside! Florally swirly goodness! How it pains me to blur this out...stupid online identity protection guidelines. Main invite. You can't tell in the picture, but the cream cardstock is a little shimmery as well. Again, HATE the necessary blurs. son of Mr. and Mrs. Jeffs Parents..."
are united in the Sacrament of Holy Matrimony"
See how clear and perfect the printing was? Did I mention I love Moncher Designs? RSVP card and pre-printed envelope. Monica even stuck stamps on all of these for me. She rocks. Kindly Respond by the First of July"
We included the RD invites in the pocket for the people who are also RD guests. I think this card is my favorite part of the whole invitation suite...I just love navy and cream. Here's the Reception Card. This is also a little more burgundy in person. And here's the whole thing all together! Click to enlarge. They are absolutely gorgeous!!! She did a wonderful job.